Our goal is to connect people with the best local experts. We scored electricians on more than 25 variables across five categories, and analysed the results to give you a hand-picked list of the best electricians in Ventura, CA. Advanced Electric has been serving commercial, industrial, and residential clients throughout Ventura and surrounding areas of the Central Coast since 1987. In addition to their long history, they have completed major custom projects in the community including Watermark Restaurant and Gills Onions. Services include appliance and HVAC circuits, automated lighting and lighting design, chandeliers and ceiling fixtures, electrical repairs, kitchen and bath renovations, outlets and switches, pool and hot tub wiring, rewiring, and service panel upgrades. Clients can conveniently schedule an appointment online. Advanced Electric has earned five-star overall customer ratings on Yelp, Facebook, and Google. Clients say they are professional, knowledgeable, and family-oriented. Affordable Electricians is a family-owned and -operated electrical company in Ventura, California that strives to provide fast, dependable, honest, and affordable electrical services to industrial, commercial, and residential customers. They offer a number services such as custom lighting design, generator and hot tub wiring, home and remodel rewiring, and circuit extensions. Also, they provide panel upgrades, home inspections, outlet/switch replacement, code corrections, computer circuits, and much more. Service is available seven days a week, they serve Ventura and Santa Barbara counties, present references on request, estimates are free, and customers have praised the owner as prompt, knowledgeable, and highly skilled. Bright Solutions Electrical is a Ventura, CA-based company that provides professional electrical solutions to commercial and residential properties in Ventura County and select Santa Barbara County areas. Specializing in remodels, new constructions, and troubleshooting, some of Bright Solutions Electrical's wide range of services include electrical upgrades; new appliance wiring; consultation and installation for interior and exterior lighting, ceiling fans, and pool and spa electrical systems; circuit breaker upgrades; and wiring for air conditioning and heating systems. Previous clients rate the company highly for being prompt and having affordable prices, displaying professionalism, offering flexibility when scheduling, and providing quality customer service. Located in Ventura, California, Infinity Electric offers a wide range of electrical services including troubleshooting, lighting installations, panel upgrades, remodel work, and new construction. Started by Michael Adams, an electrical technician with over 20 years of experience, Infinity is built around integrity, craftsmanship, and quality. With a belief in giving back and investing in others, Infinity is active in the community and has even teamed up with an organization that runs an orphanage in Uganda, Africa. Past clients have plenty of good things to say about Infinity Electric and comment on their wealth of information and their fast yet high-quality work. Jeff Lisheski Electric commits to providing Ventura-area customers with the highest quality service available. 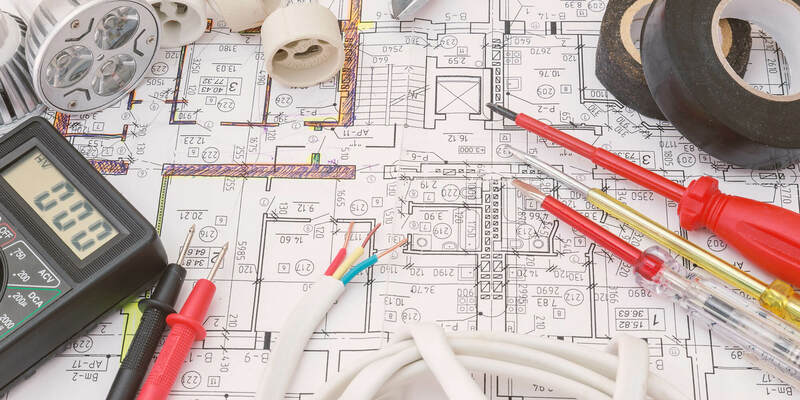 The highly reputable electrical contractor specializes in a range of service, installation, and repairs that upgrade homes and business while ensuring the highest level of safety. The full-service, owner-operated company has been bringing honesty, dependability, and quality to projects of all sizes for more than a decade. Jeff Lisheski Electric enjoys an excellent reputation for the personalized service and attention to detail that customers expect and deserve. Residential and commercial clients enjoy peace of mind knowing that the business maintains the proper licensure, bonding, and insurance to execute top-notch electrical services in the safest, most efficient manner. Discerning customers with exacting standards trust the experienced professional to handle all electrical service needs including ceiling fans, new lighting, panel upgrades, troubleshooting, as well as wiring for new construction and remodels. Lightning Electric Company has been handling electrical projects for clients throughout Ventura County since 1984. The business specializes in power distribution services for residential, commercial, and industrial clients with innovative solutions for everything from new installs, surge protection, LED lighting, lightscaping, and replacement of old wiring to security lighting, minor repairs, data centers, ceiling fans, and pool connections. Wiring and panel installs are available for light manufacturing, restaurants and commercial kitchens, sports and fitness centers, recreational facilities, and state and federal government sites as well, and the company works closely with clients per their exact needs and budget. Lightning Electric Company has built up long-term relationships with its customers and is known for friendly crews, beautiful lighting designs, top-quality results, and honest estimates. Rincon Mountain Electric is a veteran owned electrical contractor in Ventura, California. Their service areas include Ventura, Santa Barbara, Thousand Oaks, Camarillo, Oxnard, and Ojai. They conduct emergency services and perform comprehensive electrical services and electrical contracting. Rincon Mountain Electric specializes in electrical repairs, new construction, and remodeling. They strive to keep the home and business running smoothly with its electrical repairs. This electric contractor offers new construction wiring and electrical permits and maintains the power flowing. The company holds a California State license. Rincon Mountain Electric works to provide safe and affordable electrical services from minor construction to major repairs. All their estimates are free. Seaside Electric has been providing quality solutions for a variety of electrical problems for nearly three and a half decades. The company delivers both residential and commercial services in Ventura County and Santa Barbara County, and only commercial services in the greater Los Angeles area and San Luis Obispo County. The team’s responsiveness and time-efficient manner are highly praised by customers. The electricians offer a wide range of services, including electrical work, CCTV, fire alarms, solar procedures, low voltage, lighting and EV charging stations. Clients also find Seaside Electric’s technicians to be highly knowledgeable, friendly, polite, thorough, professional, and state their work has a great focus on ensuring safety. Stamp Electric is a family owned and operated company which serves Ventura County and helps commercial and residential properties through many different services designed for complete electrical systems. People who contact the company can receive free estimates and consultations depending on the size and scope of each project and the type of materials required. The company remains fully bonded and insured for their customers’ protection and peace of mind. People facing some disaster can contact the company’s 24/7 emergency line to receive quick services. Some of Stamp Electric’s available services include the installation of landscape lighting and controls, heat and air conditioning, troubleshooting and repairs for electrical systems, ballast and bulb maintenance, and home office wiring. The company takes great pride in being reliable and efficient and hires employees who represent these values.